To a certain extent, LTFRB needs to be lauded on their openness to talk and work things out with UBER and GRAB. The guys in the government organization are not totally idiots, though they are struggling to keep up with technology, outdated policies and the vicious social media. It is not clear what their strategy here is, or why UBER and GRAB is having a hard time complying. Maybe regulate competition or limit the volume of for hire vehicles on the road, but something has to be done since the apps really help moving Filipinos from one place to another. Beats me how the whole circus works, but here's to hoping these guys at LTFRB become the movers and shakers that will redefine the landscape of commuting. 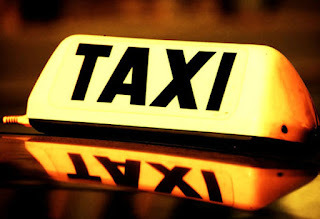 Anyway, even if these things don't get fixed immediately, we just have to give up convenience and deal with dishonest taxi drivers, long lines at taxi lanes, and some safety issues riding a cab. Actually majority has still been riding the taxis, its just that the noisiest and the people who complain the most are in social media. Majority as well have been riding the jeep, trains and buses. They don't complain much, they just go with the flow. They know they'll get to their destination eventually, with or without convenience. The worst thing happening is too many people are noisy, angry and hateful on social media. But are they doing anything about it? No, they just make noise, express sentiments, sign useless petitions, talk to other haters then hating them as well later on. These things don't make your problems disappear. Try doing something substantial and different. Try doing something else that will probably work for you. Stop the negativity and start doing something. Dictionaries define corruption in many levels. There's decay and decomposition, inducement to wrong doings, and the most relevant: dishonest or illegal behavior especially by powerful people (Merriam-Webster). But I like the last definition of corruption: a departure from the original or from what is pure or correct. Maybe we do have an idea how it is to be a "pure" and "correct" human being for us to better define corruption. The men and women in the Philippine streets know corruption is happening. I do not recall having met anyone who can say we have a clean government. In inuman sessions, in chismisan and even in social gatherings, we Filipinos love to talk about mayor and their alleged loot, congressman and their team's dirty works, or even the "insider info" of how a certain government official manipulated supplies bidding for lucrative rewards at the end. As the famous saying goes, if there's smoke, there's a fire. They all come from somewhere, and chances are they are true. 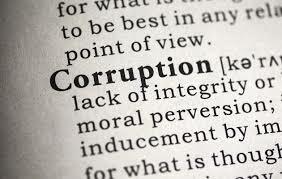 Corruption in its most relevant definition is improper use of resources, power or influence to achieve personal gain. It means resources, power or influence are not theirs to begin with, and it should be used for the good of the many. And yet, corruption happens. From the lowliest person to way up high, corruption happens, and we can say it is part of the system. And surprisingly though, it seems deeply ingrained in our everyday life. It can even be claimed up to the very depths of our humanity. We the corrupt people of the Philippines and the world. Yes we are all corrupt. We are all corruptible. Unless we all become robots or machines and do not have friends, loved ones, feelings or emotions, we are all subject to mistakes and corruption. We are known to make resolutions but abandon them when the going gets tough (corruption of convenience). We are capable of going with the barkada inspite of your spouse or parents telling you no (corruption of friends). We spoil our children with pasalubong or things they want to make up for lost time and parenting responsibilities with them (bribery). The list can actually go on, but it only proves one thing: we are living in a corrupt culture. We cheat, we lie, we make unfulfilled promises, we take responsibilities but fail to deliver, we hate and get angry, we take shortcuts, we try to make our lives easier; these little things from everyday life give rise to higher probability to bigger corruptions on bigger stages. We all have to accept the fact that corruption will always be around. It goes hand in hand with humanity's capability to love, to connect and work with each other. These are the drawbacks of being an independent and self-existing entity who is responsible for making its own decisions. We cannot expect the people of power to be any different from us. They have their own pursuits, concepts that are of value to them, and of course politics, which makes them very susceptible. If you're expecting a solution while reading this, sorry, there seems to be none. We just have to keep our hopes up that eventually, the incorruptibles will take the stage. For now, everyone is on his or her own. Being incorruptible is a choice along all other choices in the future. But becoming one will always be a struggle. There will always be a perfect rationale for being corrupt. There will always be a great alibi for any wrong doing because of our advanced intellect and loopholes everywhere. There will always be people and events presenting lots and lots of opportunity to be corrupt. No one is perfectly safe. Hence there's that high probability that every person who takes the seats up high can be corrupted. So why worry about them and what they do? Let's just do what we can, be glad of any help we can get from the government and move forward. Let's stop complaining and whining it is unfair. The world is an unfair place. We just have to stop becoming victimized by it.